At the 2017 convention of the National Association of Retired Reform Rabbis, Rabbi Connie Golden honored me by asking me to officiate at her installation as the president of the organization. These are the thoughts I shared about this remarkable human being. When I first met Connie and Jerry Golden, our seats were together on a plane to Jerusalem for the 1988 Central Conference of American Rabbis convention. For most of the eleven-hour journey Jerry slept while Connie and I talked. I learned on that flight also that Connie and Jerry had met while she was providing extraordinary pastoral care to Jerry’s first wife, who was dying of cancer. His wife had told him about a woman rabbi who had been visiting her, and as a bereaved widower Jerry sought counsel with the rabbi who had done so much to ease his wife’s final journey. So began a beautiful love story. In fact, by the time we landed I was sure that God had blessed Connie Golden with a third ear, one attached to her heart. Whether in a huge congregation in Memphis or a tiny one in Meridian, Mississippi, whether at a hospital bedside or on a cruise ship, Connie’s ability to really hear what others say and feel is extraordinary. No wonder the CCAR entrusted her with the most sensitive issues involving colleague misconduct by putting her on the Ethics Committee, where she served for 8 years. Yes, Connie listens, but when she expresses herself—as her many published poems attest—she does so with skill, precision, empathy and eloquence. Those who have studied with me, or read my books or web page essays, know that for me the most vital reason to study Torah is to find ourselves in the biblical text. In the brothers’ fright, they tell Joseph a tale of how Jacob, before he died, told them to urge Joseph to forgive them. Yet surely Joseph would have known that if Jacob had wanted to say such a thing he would have said it to Joseph himself. But no matter. Thus the Book of Genesis ends the way this Convention ends. All issues are dealt with, all conflicts resolved, and “they all lived happily ever after.” So enjoy this moment of joyous felicitations, Connie! Now if that were truly the end of the story we would not have to ask the Eternal One to bless Connie at this time. All we would have to do is say, “Mazal Tov!” But “The Connie Golden Story” will continue, just as does the story of our People. As we know, the “happily ever after” at the end of Genesis turns, as Exodus begins, into the avodat pareich, the hard labor, of Presidential responsibility. Beginning soon—maybe even tomorrow—Connie, the phone calls, texts and emails will begin, and the privilege of the Presidency will meld into the duties and responsibilities which we know you will deal with so capably. 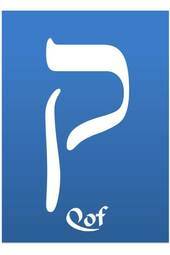 Yisa Adonai panav eilecha, v’yaseim l’cha SHALOM! 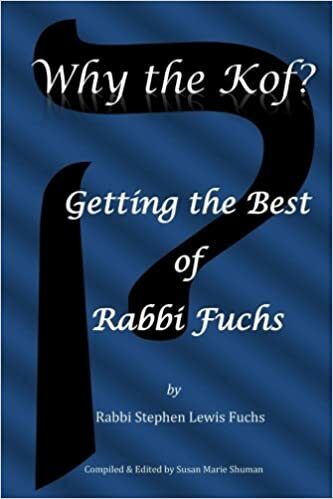 What a beautiful story, Rabbi Fuchs. Really lovely.